In need of some woodwork? 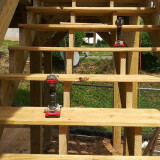 Chances are you’ll want to hire a Greenville, SC carpenter. Carpenters work with all types of wood and can specialize in many different areas, including framing, finishing and custom-made furniture. Make sure you choose the right Greenville carpenter for your job by asking plenty of questions, viewing their past work and reading reviews. As Asheville's reclaimed wood experts, we offer a wide variety of material sourced from structures throughout the Western North Carolina, all with their own life story. 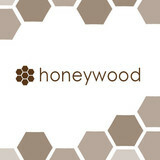 Our mission is to provide reclaimed products and quality custom services while remaining eco-friendly and sustainable. Being community driven, we enjoy talking with our local property owners while seeking out history rich structures that lie in wait to be re-purposed. We then prepare and properly store each piece of wood until the day it becomes part of a new story. Located at 20 Simpson St. Asheville, NC 28803, behind the Regeneration Station, our skilled staff and network of talented craftsman are excited to add the rich nostalgia that comes with accenting your home or business with reclaimed wood. Anything from flooring, timbers and beams, framing to siding, you can find it here. From small hobbyist projects to builder and manufacturer supply, we have what you need. Call (828)-260-9126 and come by to have a look for yourself! Serving the Greenville area since 1999 and now celebrating 15 years of service. Welcome to Steve's Custom Carpentry and Construction Planet. We are happy you have chosen to reach us here to learn more about what we do! Choosing Steve's Custom Carpentry will provide you with unparalleled customer service, peace of mind, trust, and the confidence you need to work on your biggest investment--your home. Our goal is to provide the higher quality work and to use our experience to deliver a finished project that is unmatched and affordable. We are a full service remodeling specialist, offering decks, additions, kitchens, bathrooms, window and door replacements, flooring , fascia and exterior repairs, roofing, cabinets, Bobcat/grading services, hardiplank siding, and much more. 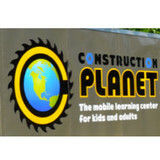 Construction Planet began in 2013 to teach hands-on carpentry skill to youth in the Greenville area and exposing them to the exciting world of construction. We have been working in the Upstate of South Carolina since 1999 and loving our hundreds of customers. We are an accredited member of the Better Business Bureau and the Greenville Chamber of Commerce and are committed to excellence and to our community. Please view our work and contact us for a free estimate. 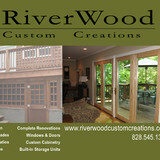 Custom Carpentry specializing in Decks, Privacy fences, Sheds, Roof coverings and much more! A service company providing construction, landscaping and residential cleaning. We are third generation craftsmen who are passionate about our work and the people we work for. We specialize in box beams that are meticulously handcrafted to replicate the look of real timbers. We also are well versed in cabinetry, and custom trim installation as well. I am a talented Carpenter with an eye for excellence and precision. I have been in Home building for over 20 years now. I started as a young adult roofing for the family run roofing business then on to residential home building. I have built some of the most prestigious homes in and around Asheville and Hendersonville, NC, as well as some of the small compact cookie cutter homes. For the past few years I have found myself doing more remodeling work, siding, window framing, and many many other various jobs. I am absolutely confident I can do any job that is asked of me and do it well. I offer free estimates and my rates are VERY competitive. Licensed and Insured. Small local company who employs master carpenters with 50 years conglamerative experience. Professional results with a price you can afford. Top Dog Builders specializes in: New construction, decks, home additions, home upgrades, fences, and Home remodels. Let our licensed professionals turn your dreams into reality. We design, build, finish, and install custom cabinets for residential and commercial remodels and new construction. We make custom furniture. 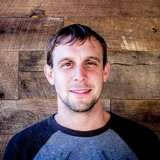 Vaughn's Woodwork is the premier custom woodworking facility in the Upstate. Tour our website for information on our Commercial and Residential projects and expertise then browse our photos for a stunning walk through some of our craftsmanship. Whether you are building a new home or redesigning your existing living space, Vaughn's Woodwork exceeds your expectations through every step of the process.